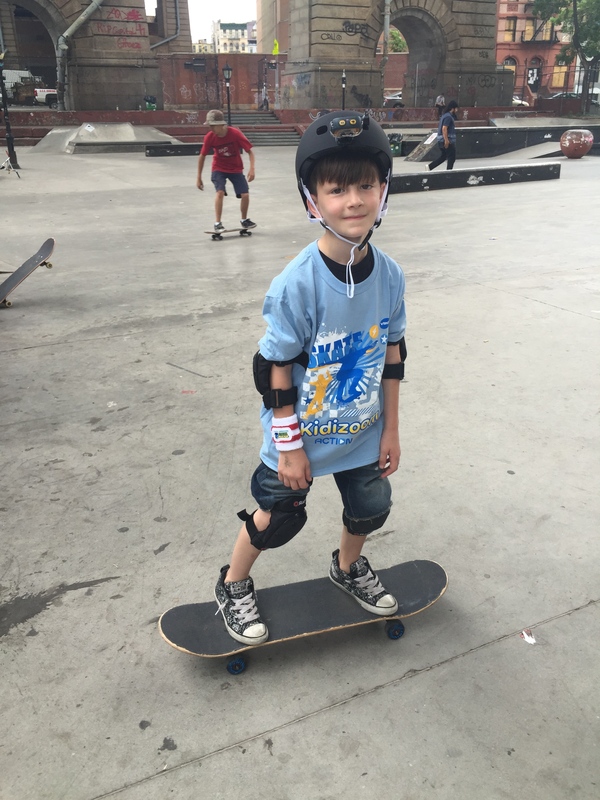 While I have been on a quest to ensure my little ones are enjoying the greatest summer ever we were invited to a private skateboarding lesson with Vtech, and I was ready to jump at the opportunity for them to try something new. Unsure of how they would react I took both JD and Gia along. 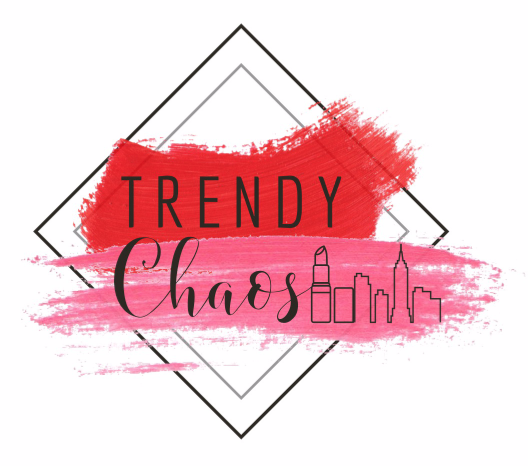 I never know how my kids are going to react to anything, they are always so indecisive, they are either eager to test out something new, usually because we don’t want them to, or will fight us tooth and nail because we are pushing them. I took the cool laid back, try it out if you like approach to the skateboarding lesson, truth be told I was a nervous wreck! There I said it finally I admitted it!! Phew! I feel like a weight was just removed from my shoulders. We arrived at the skate park in the Lower East Side, Manhattan and JD thought wow this is super cool. I naturally said ok lets gear you up with your elbow and knee pads, (insert nasty look from the recently turned 8 year old). Mom really I don’t need to gear up to walk across the skate park, I’m thinking hello we need a traffic cop to walk across this park, moving on…. Both JD and Gia thoroughly impressed me with their abilities and eagerness to jump aboard skateboards for the first time. Much like my kids the Kidizoom Action Cam by Vtech was also ready for an adventure. Take a look as the kids mounted their cameras and captured all the action below on their Vtech Kidizoom cameras, naturally I captured a few images myself. Silly me I was under the assumption that my little ones would be fast asleep for the drive home, after capturing their summer time fun, however I was mistaken. The drive home meant it was time for a replay of their action on the kidizoom and then a little game play itself. The built in games kept both JD and Gia lughing and giggling and dare I say playing together the entire way home! After watching the videos on the Action Cam Gia said Mom that was so much fun I want to do it again! JD has since purchased a skateboard and thanks to the Action Cam he is mastering his footwork. His ability to ride, then replay is a bit obsessive but he keeps reminding me practice makes perfect! Dont forget to re-insert the SD card, after you upload your video/pictures to your computer! Been there done that. Connect with Vtech on social media and stay in the know of whats next to hit the shelves for Vtech Twitter, Facebook, Pinterest, and YouTube. Disclaimer: We were compensated and did receive the Vtech Kidizoom Action Cam product, the love my children and I continue to show for the product is all our our own. That sure looks fun! For a mom, it looks scary at first. It’s a good thing that they’re complete with elbow and knee pads, more importantly a helmet. JD sure looks like a brave boy, never stopped trying even after falling down a few times. Good job! I loved watching the video, the kids are adorable. It’s great to see kids outside playing and when they fall they get up again! Practice make perfect and it sounds like thats just what they are doing. I think I know someone who might be getting a Action Cam for Christmas! How fun! I have never thought of the skate park as a family activity. It sure looks like you all had a great time. I will have to check that out in my area. My kids would love learning to skateboard! And the camera is really cool too. I can imagine I would need one for each of my three kids, and they’d be filming each other nonstop. Of course, anything that encourages them to stay active is a great thing in my opinion! Those are such adorable photos! What an exciting lifestyle. Your kids must have the most fun. What a fun and safe way to learn such a tricky sport. Looks like the kiddos had a blast–hope you got a chance to try it as well. One day my thirty year old lame mom self will ride a skateboard!! What an amazing experience for your kids! I think mine would love the camera and the replay of their abilities. I would be right there with you and nervous for them to try this out. Cool! Thanks for sharing. The new VTech Kidizoom looks so cool!!! Like the GoPro. (Does it also go underwater???). Looks like everyone had a blast. I had to laugh at your reminder not to forget to re-insert the SD card, after uploading the video/pictures to your computer. I have done this a lot of times and I wanted to kick myself for always forgetting. So cute! My long-term boyfriend is an avid skateboarder, and always always always talks about teaching (our future kids….?) how to skateboard. 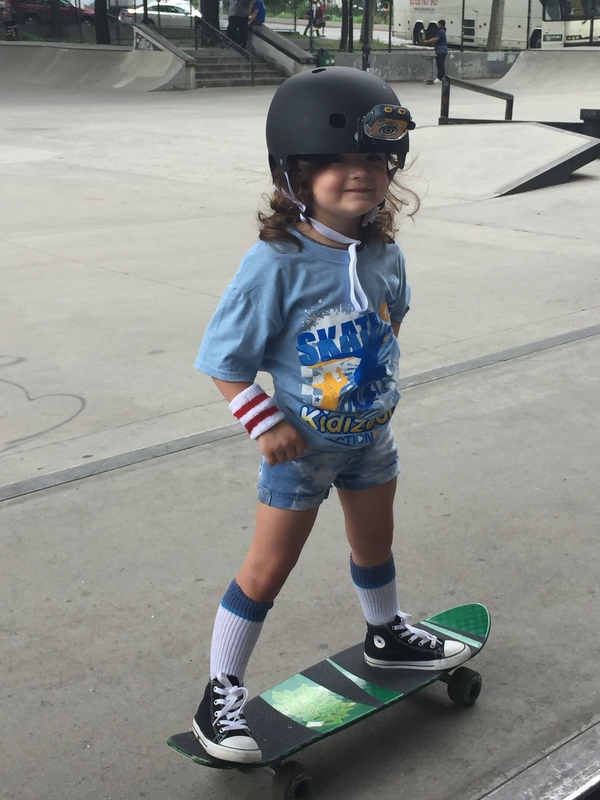 I also think that it’s awesome you brought your daughter along too- skateboarding is such a stereotypically boy sport, and a lot of awesome women are breaking into the scene and taking it by storm! So good for you and your baby girl for breaking down gender roles 😉 They both looked like they had such a great time!